This report provides a collective view of 2017 Puget Sound marine water quality and conditions and associated biota from comprehensive monitoring and observing programs. While the report focuses on the marine waters of greater Puget Sound, additional selected conditions are also included due to their influence on Puget Sound waters. These include large-scale climate indices and conditions along the Washington coast. It is important to document and understand regional drivers of variability and patterns on various timescales so that water quality data may be interpreted with these variations in mind, to better attribute human effects versus natural variations and change. 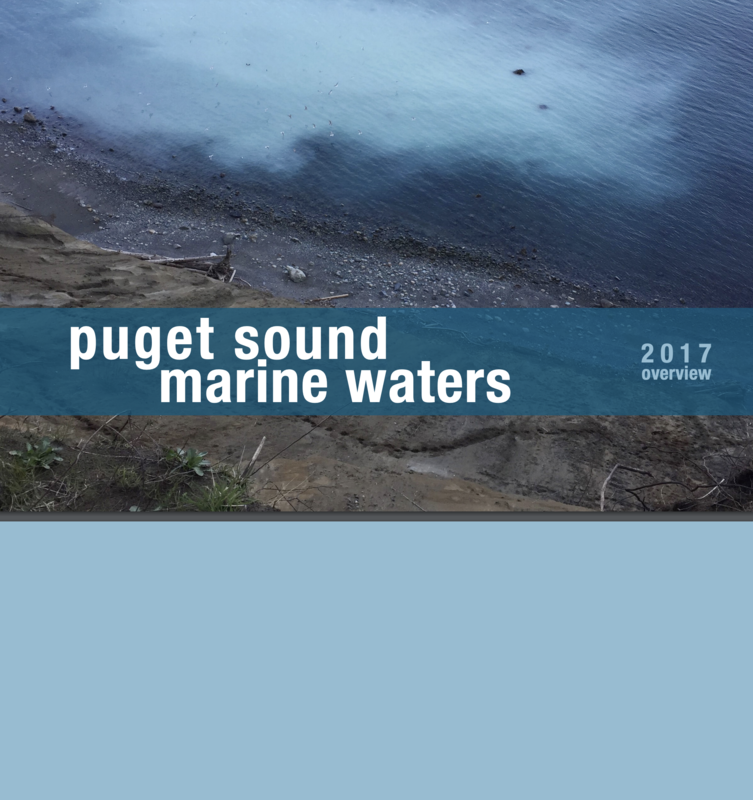 This is the seventh annual report produced for the PSEMP Marine Waters Workgroup. Our message to decision makers, policy makers, managers, scientists, and the public who are interested in the health of Puget Sound follows. The Puget Sound Ecosystem Monitoring Program (PSEMP) is a collaboration of monitoring professionals, researchers, and data users from federal, tribal, state, and local government agencies, universities, non-governmental organizations, watershed groups, businesses, and private and volunteer groups. The objective of PSEMP is to create and support a collaborative, inclusive, and transparent approach to regional monitoring and assessment that builds upon and facilitates communication among the many monitoring programs and efforts operating in Puget Sound. PSEMP’s fundamental goal is to assess progress towards the recovery of the health of Puget Sound. The Marine Waters Workgroup is one of several technical workgroups operating under the PSEMP umbrella – with a specific focus on the inland marine waters of Puget Sound and the greater Salish Sea, including the oceanic, atmospheric, and terrestrial influences and drivers affecting the Sound. For more information about PSEMP and the Marine Waters Workgroup, please visit: https://sites.google. com/a/psemp.org/psemp/.